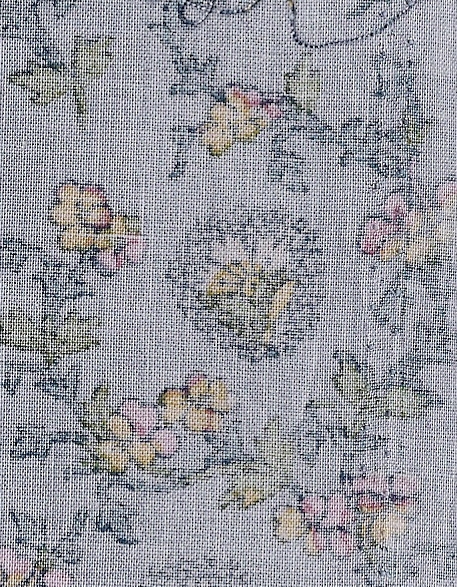 Early textiles were dyed/printed with natural products. Dyes were extracted from roots and stems, leaves, berries and flowers as well as some insects and shellfish. Indigo has a natural affinity for cotton, most other natural dyes require a mordant for printing. ( A mordant is metal salt which binds with the coloring agent in the dye and also the cotton fiber. Some mordants are alum, iron, tin, copper and chrome). The mordant/dye combination forms a 'lake' of color which permeates the fiber. 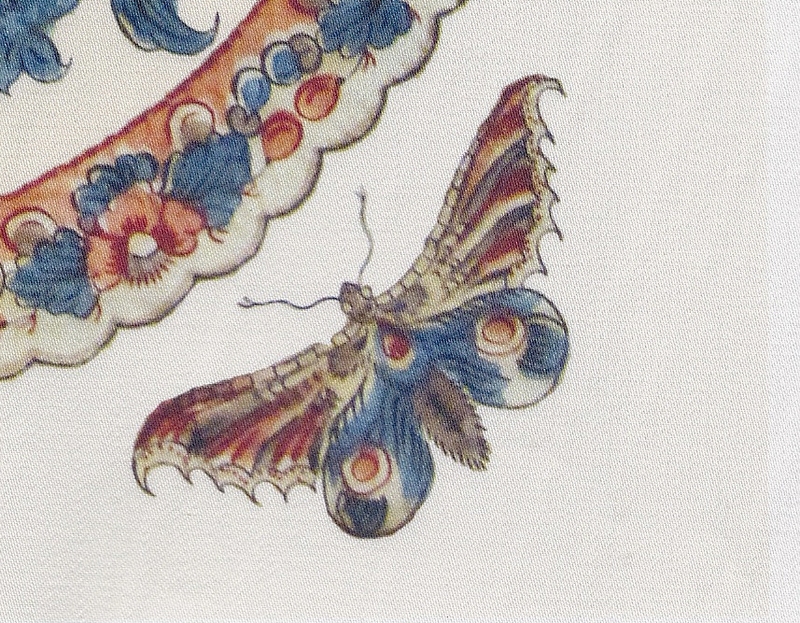 The dyes are seen on the back of the fabric...in a slightly different intensity. 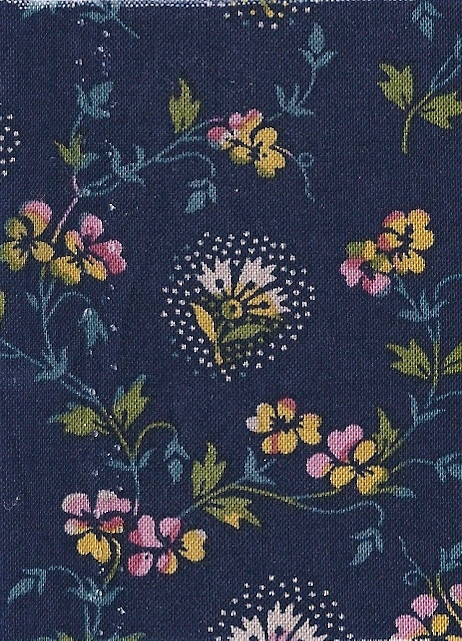 Todays' fabric are usually printed with pigments. The colors are bonded to the fibers with resins. The result is a printed fabric whose color is resistant to fading on laundering but which does not show on the the back side of the fabric. 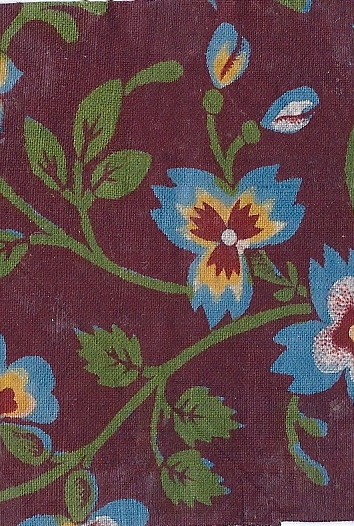 The dyed example is from the Dargate book, c. 1830. 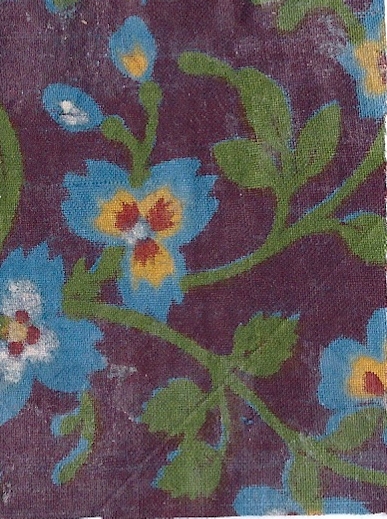 The pigmented sample is a reproduction of a Dargate Indigo. 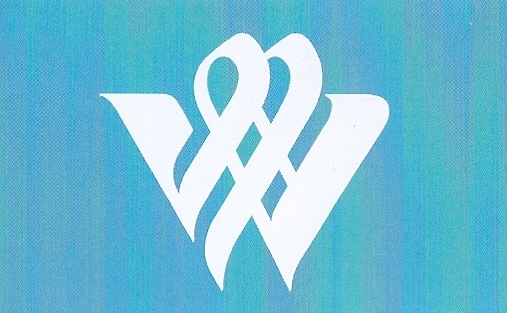 As an Independence Day celebration, I would like to offer a $20 discount at www.reproductionfabrics.com. Enter 'blog' as the promotion code or under comments. Good through midnight July 4th. The Chintz Center Panel...Tulips in Low Vase.. has a 'creature' in each corner. I asked my wildlife biologist husband... is this a butterfly or a moth? Butterflies generally have slender antennae with a slight club shape at the end while moths have comb-like or feathery antennae. Ok..butterfly antennae. Butterfly bodies are slender with smooth abdomens and moths have stout heavy bodies. The body is more moth like. I think what we have is a lovely artistic Lepidoptera. I am currently working on my second Chintz Center Panel quilt and trying to create 'an early 19th century sensiblity' with color placement and quilting style. 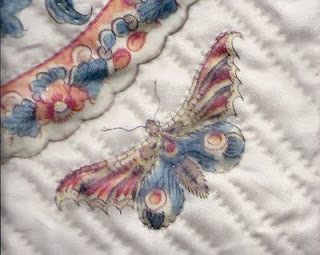 Many of the antique Chintz Center Panel quilts I have seen have subtle overall or double line quilting. This project is due at the McCall's Quilting office in Colorado on Wednesday....I have 3 more corners and a binding! Watch for the quilt in the November '11 issue.